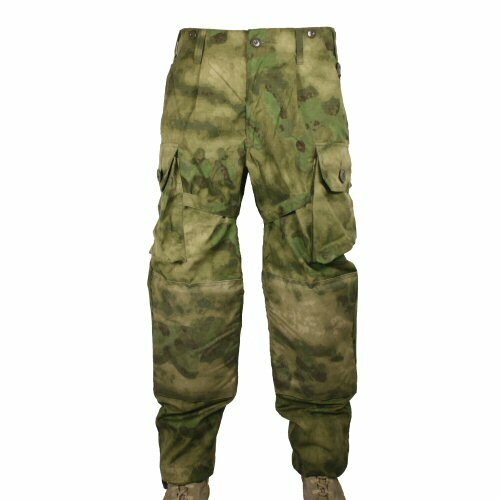 The Operator Combat Trousers in ATACS FG are fully featured, operator designed trousers. 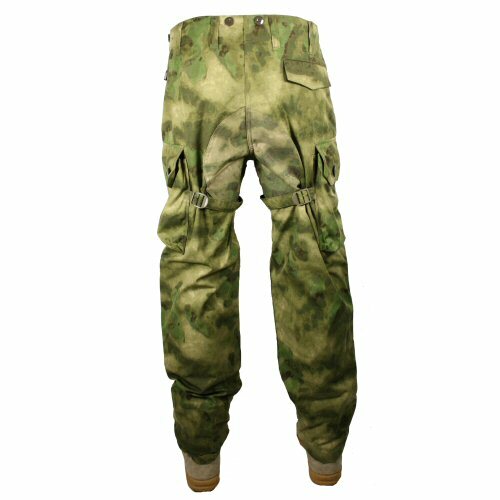 They are constructed from the top grades of material available in genuine ATACS FG, such as vat dyed NYCO ripstop fabric, with reinforcements on the knees and seats in 600D Cordura. 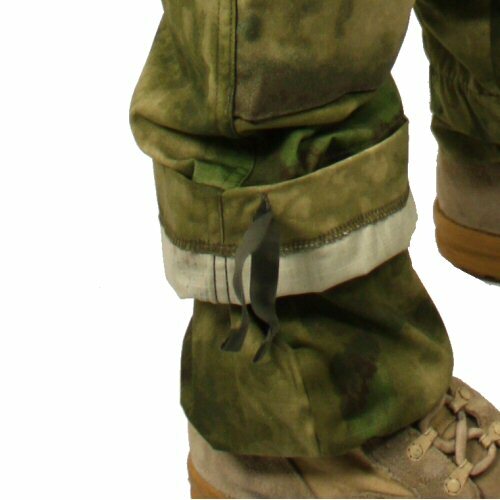 The trousers feature two hip pockets, one seat pocket, two bulgy cargo pocket, one internal knife or magazine pocket within the right cargo pocket, D-rings for attachment of material and lanyards, wide belt loops and shoulder brace points, adjustable thigh ties to reduce riding and bagginess when cargo pockets are fully loaded, Cordura seat and knee reinforcement patches, ventilated crotch and knees to open with velcro for padding. The lower leg has an internal baffle with its own elastic and toggle adjustment to prevent the trousers from riding over the top of the boot during movement. The bulgy cargo pockets each have their own rivetted drainage hole and close with no-loss foldover lids, secured with two large 25mm diameter tape buttons. The seat pocket has a hidden button pocket flap that reduces snag. Trousers close with button waist and zip fly. Pleated front allows for extra expansion space without adding too much bulk to the waist area. The knee padding shown in the photograph is included with the trousers and can be replaced when it is worn out. The NYCO ripstop fabric is lighter far superior in comfort and weight to the Hampton fabric. 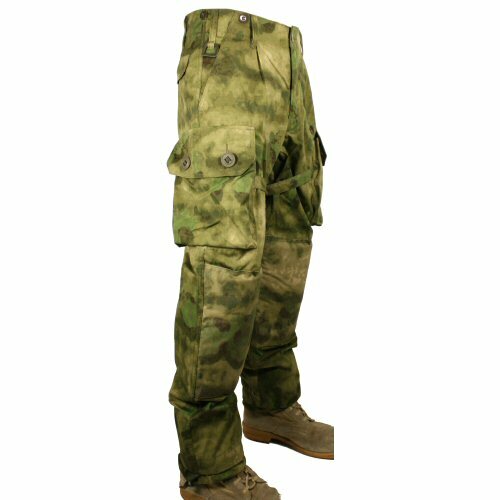 Made by German contractor to same specifications as KSK and German Special Forces trousers. Sizes are M (Euro 48-50 - 90cm waist), L (Euro 52-54 - 100cm waist) and XL (Euro 56-58 - 110cm waist). 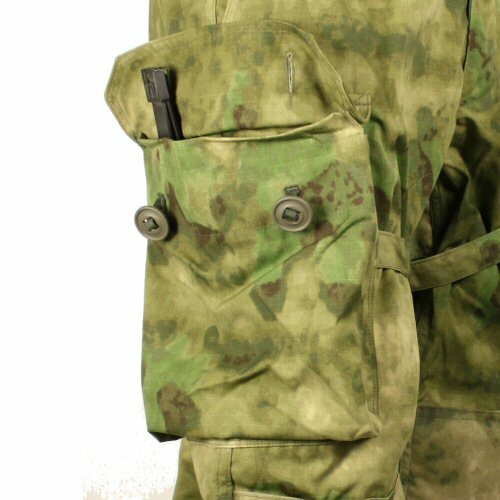 The right pocket has an internal pocket which can hold a tool, pistol magazine or torch. The lower legs have an extra baffle for ensuring that the trouser leg does not ride up and over the boot leg.